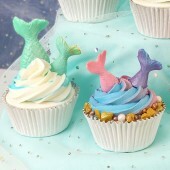 Baked with Love Sugar Pipings - Mermaid These adorable mermaid themed decorations are ide..
FPC Mermaid Tails Mould. Full instructions included. 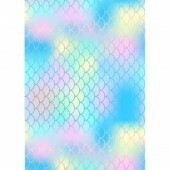 FPC moulds can be used and re-used man..
Karen Davies Mermaid Scales Mould Create beautiful scales quickly and easily. 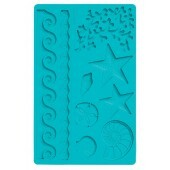 Ideal for..
Karen Davies Seaside Accessories Mould Create beautiful seaside accessories quickly ..
Katy Sue Mermaid Tail Mould Right on trend this silicone cake decorating mould will create you an..
Katy Sue Seahorses Mould Make the most stunning seahorses for your seaside themed cakes using our..
PME Geometric Fish Scales Multicutters Use these versatile PME Fish Scale Geometric Cutters to cr..
Katy Sue Seashells Mould Make beautiful realistic shells in two sizes for your seaside themed cak..
Katy Sue Fish, Seaweed & Coral Mould Make under the sea cakes with our highly detailed Fish, ..
Mermaid Tail Pics These pics are a quick and easy way to give cupcakes a mermaid theme, simply ic..
Katy Sue Sea Swirls Border Mould The Sea Swirl Borders Cake decorating mould creates a great gene..
Katy Sue Crab & Fish Sugar Buttons Mould Decorate your cakes and cookies with this cake d..
Katy Sue Octopus Sugar Buttons Mould Decorate your cakes and cookies with this fun Octopus ca..
Katy Sue Starfish & Seahorse Sugar Buttons Mould Decorate your cakes and cookies with thi..
Ready to use A4 Edible Wafer Paper Sheets These wafer paper sheets can be used in many clever..
JEM Pop It - Fish Tail Mould Set of 2 Create Fish Tail decorations for your mermaid themed birthd..
FMM Mermaid Tails Cutters Make a splash with this lovely Mermaid Tail cutter set that comes in tw..
FMM Under the Sea Motifs Tappits Easy to use, the 'Under the Sea' tappit set features a starf..
Mermaid Tail Sugarcraft Toppers Beautiful edible sugar toppers handcrafted in the UK. Pack.. 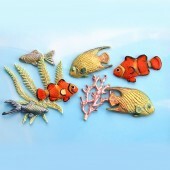 Tropical Fish Sugarcraft Toppers Beautiful edible sugar toppers handcrafted in the UK. 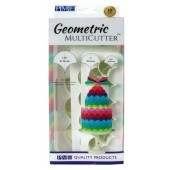 ..
Blue Dolphin Cookie Cutter Poly resin coated metal - Diswasher Safe, Chip & Stain Reistant. 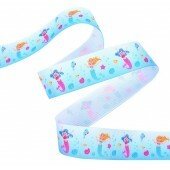 ..
Blue Mermaid Tail Cookie Cutter Poly resin coated metal - Diswasher Safe, Chip & Stain Reista..
Orange Fish Cookie Cutter Poly resin coated metal - Diswasher Safe, Chip & Stain Reistant. 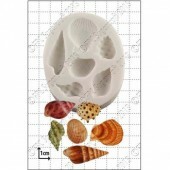 ..
Sea Shell Cookie Cutter Poly resin coated metal - Diswasher Safe, Chip & Stain Reistant. 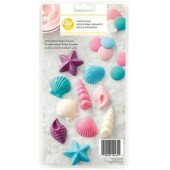 S..
Wilton Candy Mould - Seashells Create beautiful seashells with this mould. 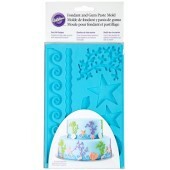 Ideal for use with ..
Wilton Sea Life Mould Easily decorate a professional-looking sea life -themed cake. 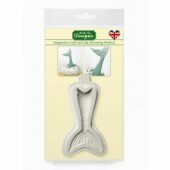 Using thi..
Silver Mermaid Tail Cutter Very high quality handcrafted tin plated cutter. 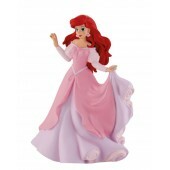 Approx size: 155mm.. 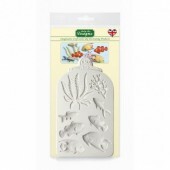 The Old Piping Bag Finger Starfish Mould This beautiful Finger Starfish is highly detailed .. 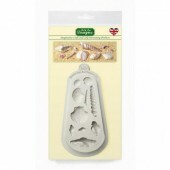 The Old Piping Bag 14 Piece Multi Shell Mould This beautiful mould contains 14 naturall.. The Old Piping Bag Underwater Transfers Lens & Lens Transfers. 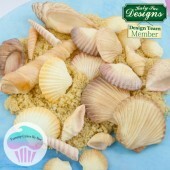 A new concept to creat..
FPC Sea Shells Mould. Full instructions included. 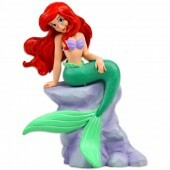 FPC moulds can be used and re-used ma..
Mermaid Tail Pick Candles Pretty sparkly mermaid tail candles. 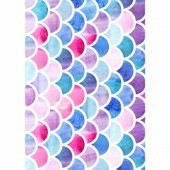 Mix of purple and aqua. 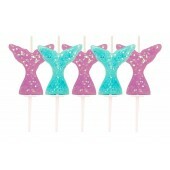 Tail..
Mermaid Wishes Tail Candle Glittery Mermaid Tail candle. 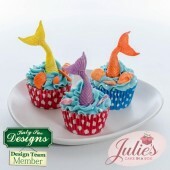 Perfect for any mermaid themed cakes! 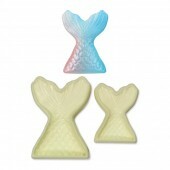 ..
Mermaid Cookie Cutter Set This is a great set of cookie cutters for a mermaid themed party! Sh.. 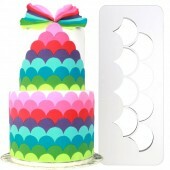 Ocean Cookie Cutter Set Beautiful high quality stainless steel cookie cutters. 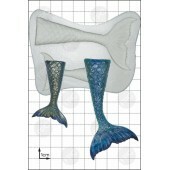 Sizes Approx: 8..
Mermaid Cello Bags For prefectly presented gifts and treats! Includes 20 Bags and 20 twist tie.. 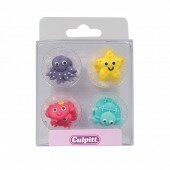 Under The Sea Sugar Pipings Give any celebration cupcakes the perfect finishing touch with these ..
Diamante Starfish embellishment This beautiful diamante embellishment is just perfect for beach/..